Outstanding payments are a problem for every company and can result in serious liquidity issues. Payment behavior is often even worse online than it is in the analog world. Online shops are left holding the bill, customers terminate fixed-term contracts without ever paying their monthly bill; even accounts in the B2B sector regularly go unpaid due to payment difficulties. We help companies, particularly those in the online sector, to enforce their legitimate claims – from legal advice in dealing with individual cases of defaulters, including filing applications for default summons, to initiating and supervising legal action. 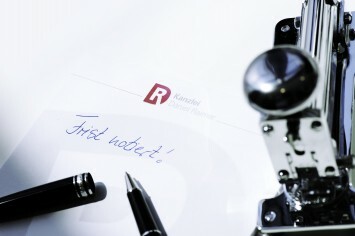 In the process, we work closely with enDebito collect & finance GmbH. By doing so, we are able to offer our clients a full range of individual and automated options for claims management from a legal standpoint (warnings via post, email, SMS, information retrieval from various databases, reports to credit rating agencies, etc.). Our cooperation with enDebito allows us to carry out more effective title monitoring compared to other law firms: To make it worth the time and financial effort required for a legal summons, and so that payment is actually carried out by even the most persistent debtors, we rely on processes that were developed and optimized in cooperation with credit rating agencies over several years with great success. In doing so, we are able to keep a permanent eye on all ongoing cases and recognize when debt enforcement is worth the time and effort (and when it is not). We are thus able to monitor enforcement orders not only more thoroughly but also more cost-efficiently than other providers.